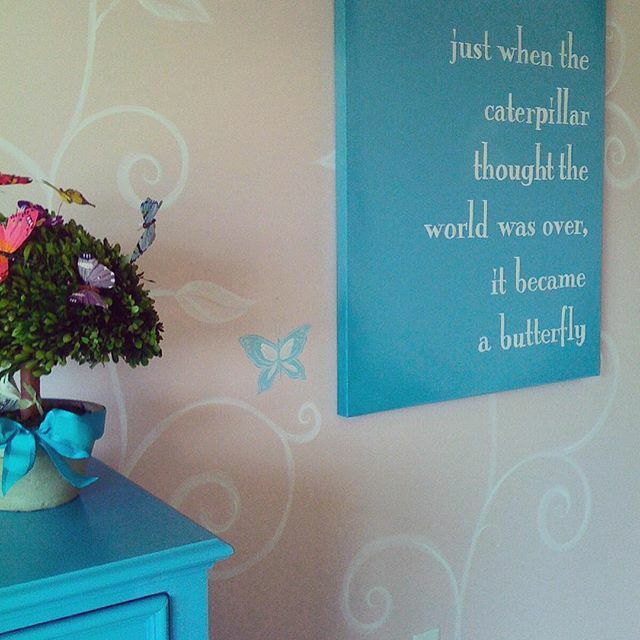 Just when the caterpillar thought the world was over it became a butterfly. Don't give up... Ever! Walls painted in @sherwinwilliams Charming Pink SW6309 🐛. 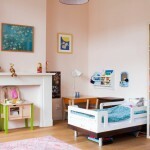 Sherwin Williams Charming Pink walls with art and furnishings in turquoise! great color scheme for a little girls bedroom.